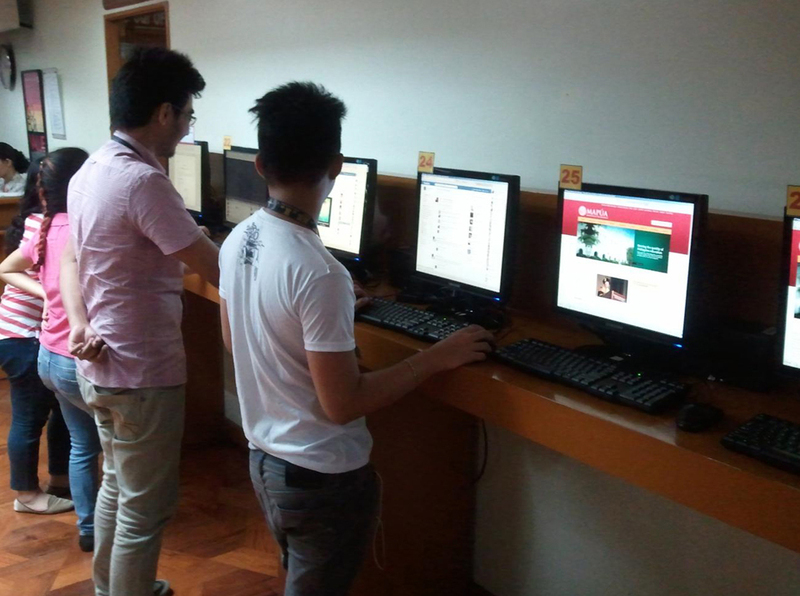 It is a branch library that services to students enrolled on various programs such as BSCS, BSIT, BSIS, BSN,BSBA, BSENT& BSA, that extends to faculty members, non-teaching staffs and administrators of Mapúa-Makati. It is located at the West-Wing of the School building (third floor). Library operating schedule is from 7:30AM to 5:00PM (Tuesday, Thursday, Saturday) and 7:30AM to 6:00PM (Monday, Wednesday, Friday). Its collection consists of professional books for Information Technology, Information Systems, Information Management, Computer Science, Health Sciences, Accountancy & Business Administration, Hotel and Restaurant Management and Entrepreneurship. 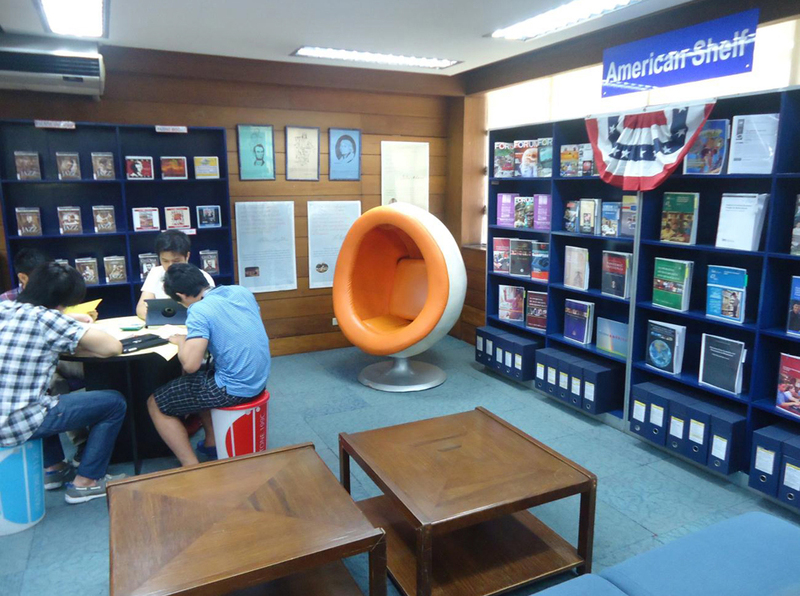 The Library also continuously updates the general references, books for technical and basic studies as well as general periodicals (magazines, newspapers) and professional journals. Unpublished research of the students such as undergraduate thesis, nursing research reports and feasibility studies are also maintained by the library. At the same time we are slowly building our archives collection. Electronic resources include access to scientific online databases such as Science Direct, Cinahl Plus with Full Text, Business Source Premier + Hotel and Tourism Complete; ACM (Association of Computing Machinery) and IEEE digital Xplore. While E-book subscriptions include Gale Virtual Reference Library, Britannica Online Encyclopedia, Ebsco E-books and McGraw Hill Digital Engineering Library all provide dynamic content and help users explore and retrieve relevant hits in their search and discovery of facts. Twenty nine (29) units of computers are dedicated for internet, online database searching and document processing. Other value added services offered by the Electronic Resources Section (ERS) include cd-burning, printing and document scanning. While six (6) computer units are committed for WEB OPAC searching. 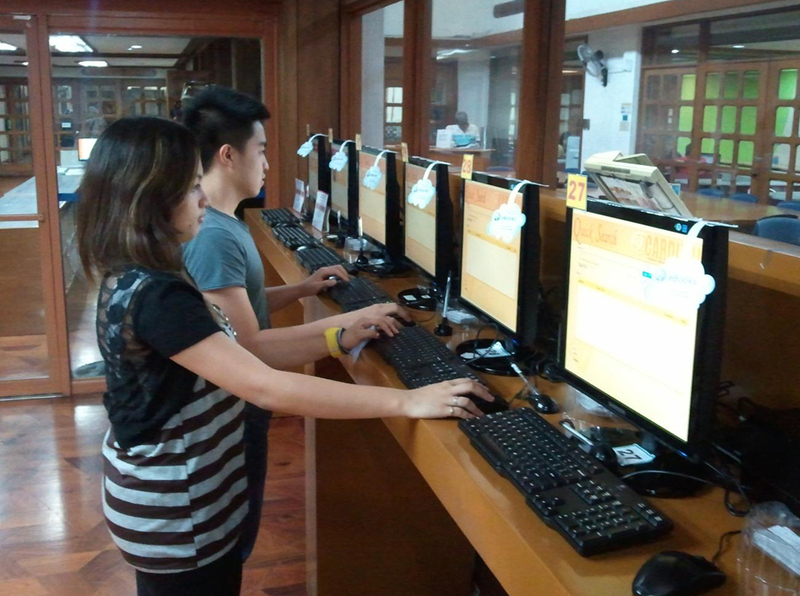 A self check-out system is also in place to streamline borrowing transactions of library users. 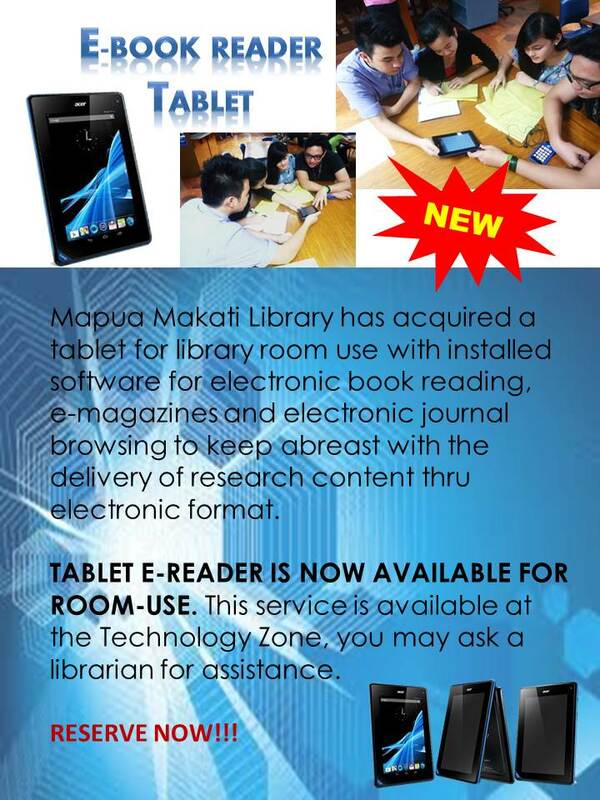 An electronic book reader (tablet) will be launched this July SY2013-2014 as a new platform for viewing of e-resources for use by clients within the library where all the digital subscriptions such as e-magazines, e-books and e-journals can be accessed making our services mobile. 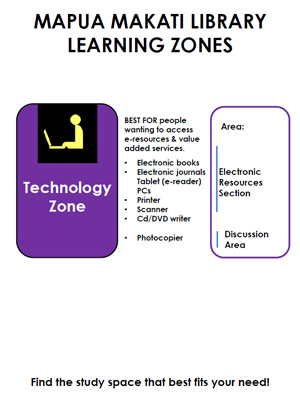 The library is a hot spot zone equipped with a wireless fidelity. Nine (9) customized laptop tables each with a four (4) seating capacity was conceptualized; it is our way of contextualizing support since our users are device driven. 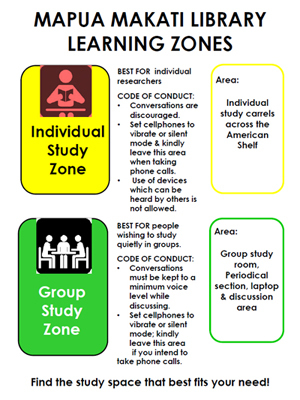 A group study room (GSR) is also available to all bonafide Mapua Makati students who are doing cooperative research work and other group related learning activities. Reservation is on a first come first served basis. 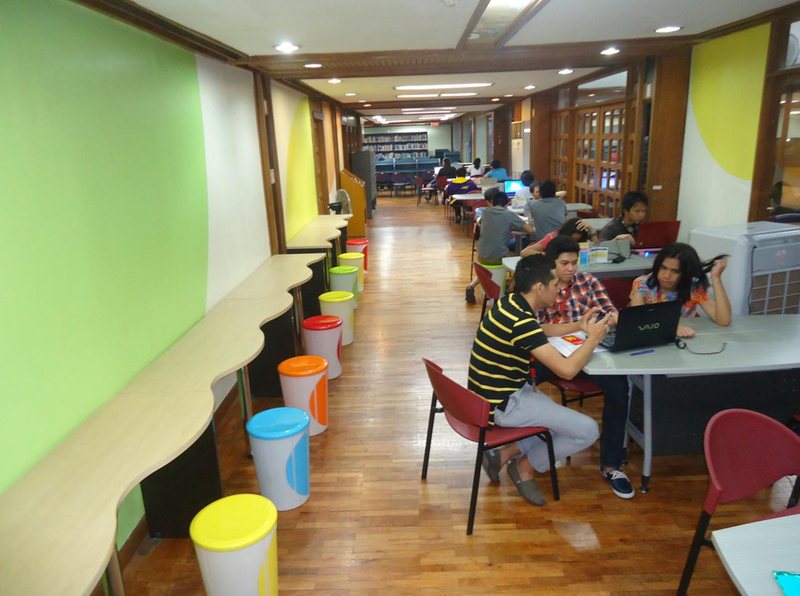 Mapua-Makati Library boasts a security system to safeguard the print, non-print collection and equipment’s inside the library.